Precision Garage Door of San Diego is your one-stop shop for garage door repairs, replacement, installation, and maintenance needs. We have years of experience providing San Diego County with a variety of Seattle garage door services. We take pride in our dedication to detail and customer satisfaction. We know our clients have many choices when it comes to garage door repair, and we are committed to offering quality services no matter what time of day or night. Our services are available around the clock because we know garage doors don't just break at convenient hours. We try to respond to garage door service calls 24 hours a day, and try to solve the issue as quickly as possible, so you don’t have to wait around for someone to fix your garage door. Your garage door protects your home and your property. We will restore your door to working condition in no time, even if it is on a weekend! Services rendered late at night, early in the morning, or on the weekend are no extra charge. and fix it right the first time! There are many types and styles of garage doors, and we offer repairs for all of them. If we don’t have the part you need to finish the job, we will order it right away and restore your door to full working condition in no time. We know what it takes to make a garage door functional, reliable, and safe. We will do the job right the first time and we guarantee you will be happy with the result. Is your garage door looking old and worn down? Are you looking for an easy way to improve the exterior appearance of your home? 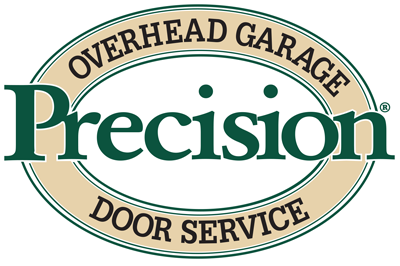 Precision Garage Door of San Diego has the perfect solution! We are a well-known garage door retailer and installation specialist. We offer a variety of new garage door styles, colors, and materials to choose from. One of our technicians can show you pictures of our past projects and help you determine which style is best for your budget and your needs. Our options are affordable and we are confident they will satisfy your desire to have a beautiful garage door. We are standing by waiting for your call! Our garage door repair services are available for commercial and residential clients throughout San Diego County including Oceanside, Escondido, Del Mar, Coronado, Bonsall, El Cajon, Rancho Santa Fe, Encinitas, Fallbrook, La Jolla, Carlsbad, Chula Vista Poway and other cities. Contact us today for prompt and reliable garage door solutions!